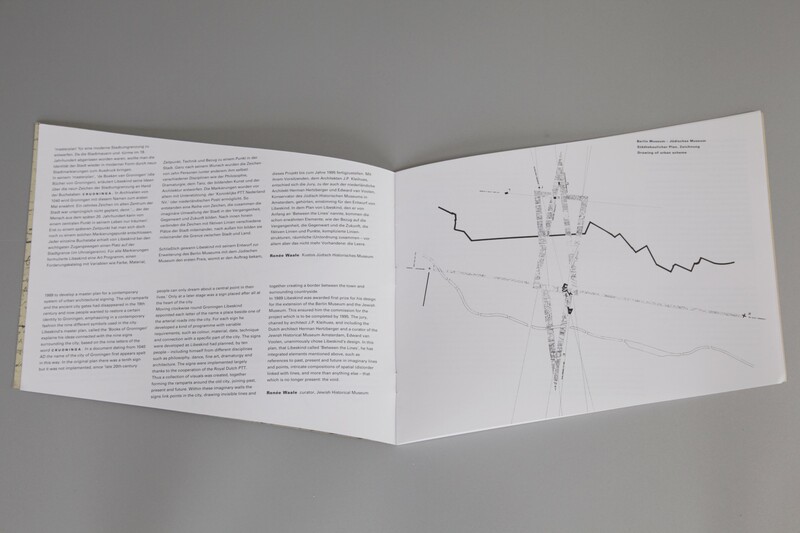 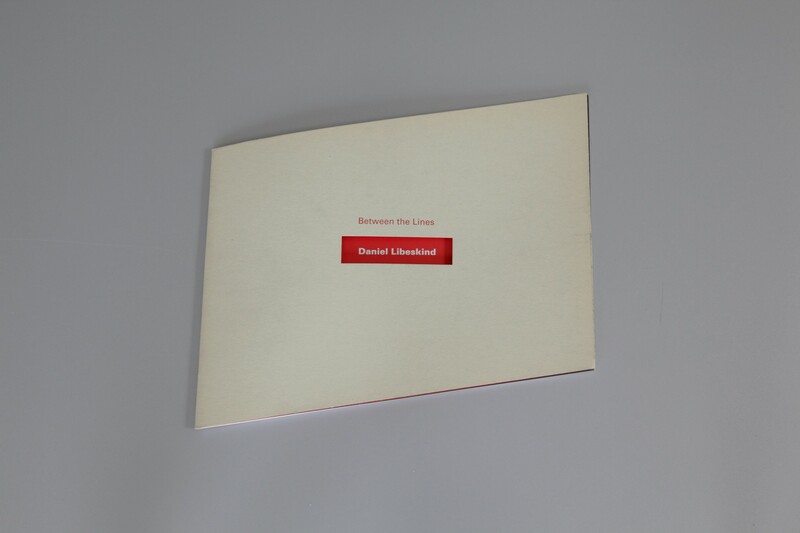 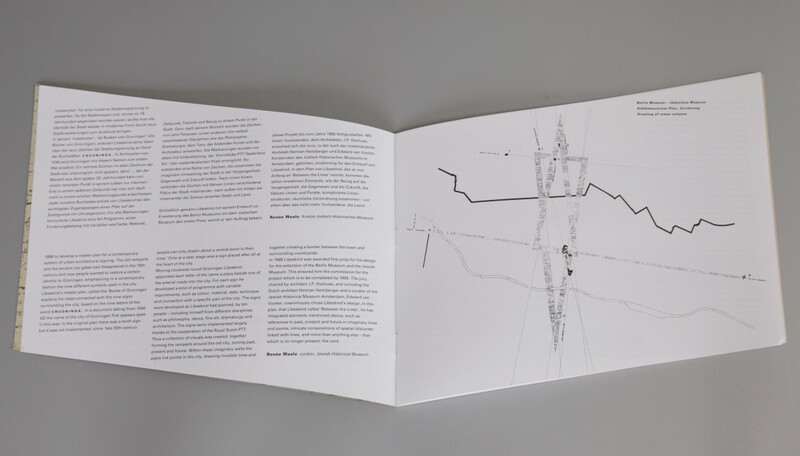 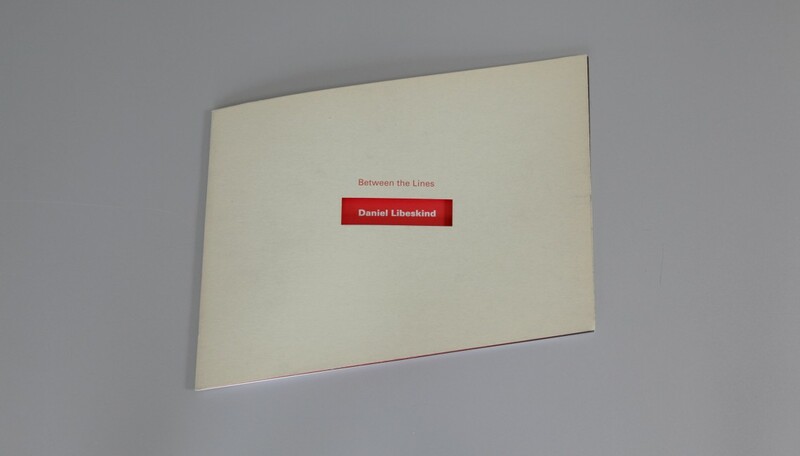 The catalogue to the exhibition “Daniel Libeskind, Between the Lines– Extension to the Berlin Museum”. 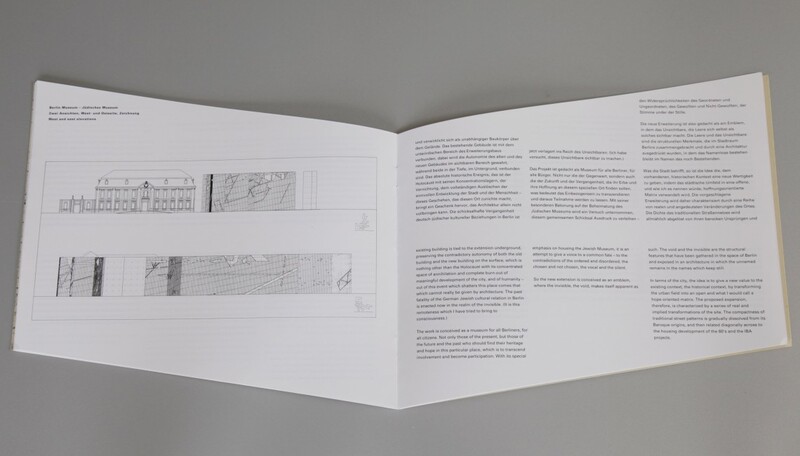 The exhibition was on view at the Jewish Historical Museum in Amsterdam from June 7 -September 22, 1991. 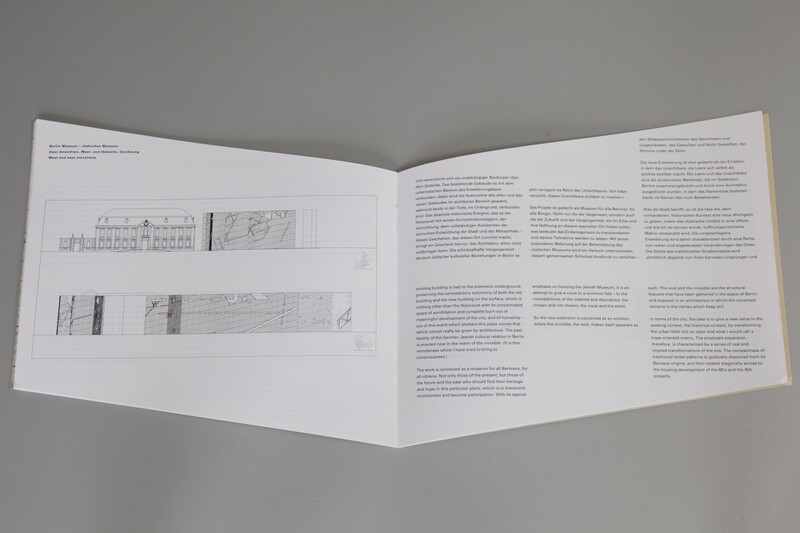 The catalogue was published in two editions: Dutch/English and German/English.